Yet another company is facing pressure for its connections to SeaWorld - and this time, SeaWorld is on the defensive. 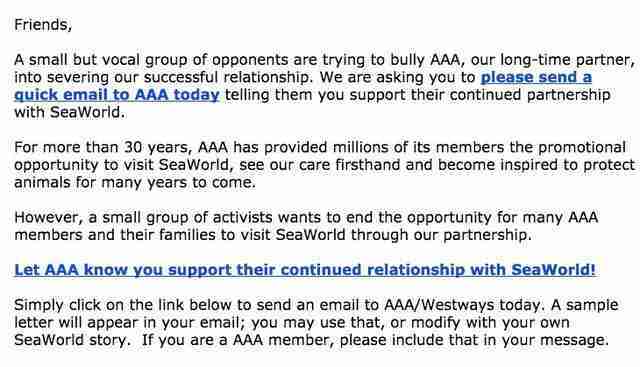 The push from SeaWorld comes in response to a petition launched by PETA that calls on AAA to cut ties with the park. On its website, AAA offers deals to its card-holding members to the theme park. Yet AAA continues to promote the cruel parks that profit from forcing highly intelligent orcas to perform silly circus tricks in concrete tanks that are the human equivalent of bathtubs...If you are a AAA member, please edit the response below to note that you are a member and that cruelty to animals is a very serious issue to you. Now, with both sides urging their supporters to weigh in, it's up to AAA to choose which side's argument is stronger. 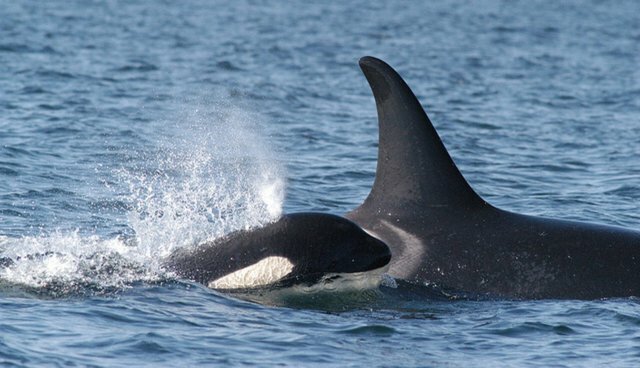 Given the slate of companies - Virgin America, Taco Bell, Southwest Airlines, STA Travel, to name a few - that have recently split with SeaWorld, the pressure is certainly on. AAA offers members choices for savings on entertainment, travel, theme parks and more. We are guided by our members' interests and concerns. It's no surprise that SeaWorld is desperate not to lose yet another corporate partner. Thanks to efforts such as Blackfish, the world knows how orcas suffer physically and psychologically in SeaWorld's tiny tanks. SeaWorld has already lost two of its biggest sponsors, Taco Bell and Southwest Airlines, and many others; its stock has tanked; and it had to rope its own employees into voting in a poll about the company's reputation. PETA, along with its members and supporters, is calling on AAA to do the smart thing and cut ties with SeaWorld. "AAA represents a widely diverse population of 54 million members. Those members are our most valuable source of information and we strongly believe communication with them as well as the general public is important. As a federation of independent club affiliates; each AAA club is responsible for the provision of member benefits and service within its geographic region in addition to offerings through national partnerships. Many clubs offer savings on the entrance fees or ticket prices at a number of hotels, attractions, sporting events, dinners and entertainment. Members over the years have opted to purchase SeaWorld tickets and enjoy the discounts the clubs are able to obtain for them. AAA evaluates its relationship with each of its national partners on an ongoing basis to insure they provide member value and satisfaction."